In the late 1960s, visual artists experimenting with the new medium of video saw the potential of public access television to act as an open and uncensored platform for the creation and dissemination of their work. This exhibition will present both key and lesser-known figures who worked in the Public Access arena, as well as contemporary artists experimenting with the democratic potential of new media platforms on the Internet. The show highlights the historical relationships between community-produced media and political action, documenting the potential for social change and creative reimagining through this technology. BRIC’s own Brooklyn Free Speech Public Access channels will be continuously aired in the gallery space, and a stage in the center of the gallery will act as a set for the production of new programming by BRIC’s community producers. 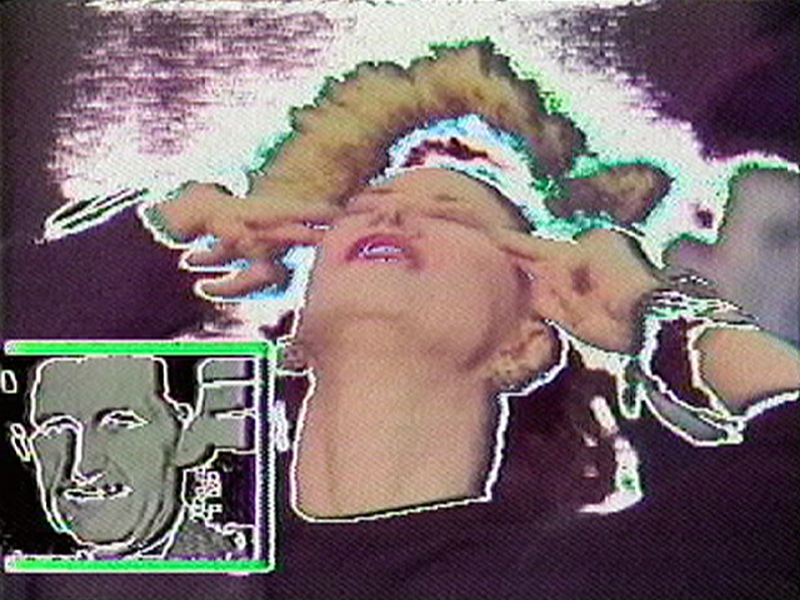 Historic and recent programming by: Alex Bag, Colab, Jaime Davidovich, Tom Kalin, Glenn O’Brien, Nam June Paik, Paper Tiger Television, Raindance, Doug Hall, Chip Lord, Jody Procter, TVTV, Tony Ramos, and Martha Rosler. Contemporary artist projects by: Natalie Bookchin, E.S.P. TV, Ann Hirsch, Jayson Musson, Jon Rubin, Pilot TV, and URe:AD Press | United Republic of the African Diaspora (Shani Peters and Sharita Towne). Special thanks to Electronic Arts Intermix, NY, for support of this exhibition. WED, APRIL 5, 7-9PM | Natalie Bookchin: Long Story Short - A full screening of the artist's video, whcih is an exploration of poverty comprising of hundreds of interviews with men and women in homeless and job-training centers in California. Followed by a conversation with the artist. WED, APRIL 12, 1-5PM & 7-9PM | Ralph McDaniels: Video Music Box Live - Afternoon screenings of the historic Video Music Box program from 1-5PM, then McDaniels himself takes the stage to host a live version of the show from 7-9PM. SAT, APRIL 15, 7-9PM | E.S.P. TV Live Taping - Join us for a live taping with E.S.P. TV, where they will hybridizes technologies old and new, contemporary and obsolete, to realize the live television studio as a site for performance-based works. SAT, APRIL 22, 12-4PM | Utopian Potentials and Media(ted) Realities - A symposium exploring the promise of Public Access television and open network technologies, featuring cultural producers from the 1970s, to the present. Presented in partnetship with Electronic Arts Intermix (EAI), NY. FRI, MARCH 24 | Keeping it Real with the Womyn of Public Access - Highlighting the voices of women filmmakers, performers, artists, and television producers of Brooklyn’s Public Access channels. SAT, MARCH 25 | B Young - B Young is a full day of live television for, by, and about YOUTH, capturing everything from edutainment, adoption, cooking, and sports. FRI, APR 21 | Politics As (Un)Usual - This program will address social and political issues that affect our community; a mixture of TV show discussion and Town Hall. FRI, MAY 5 | To be Announced. SAT, MAY 6 | To be Announced.